G.I. (military) | How Goes the Battle? TO G.I.’S in Quang-tri, Thua-thien, Hue! 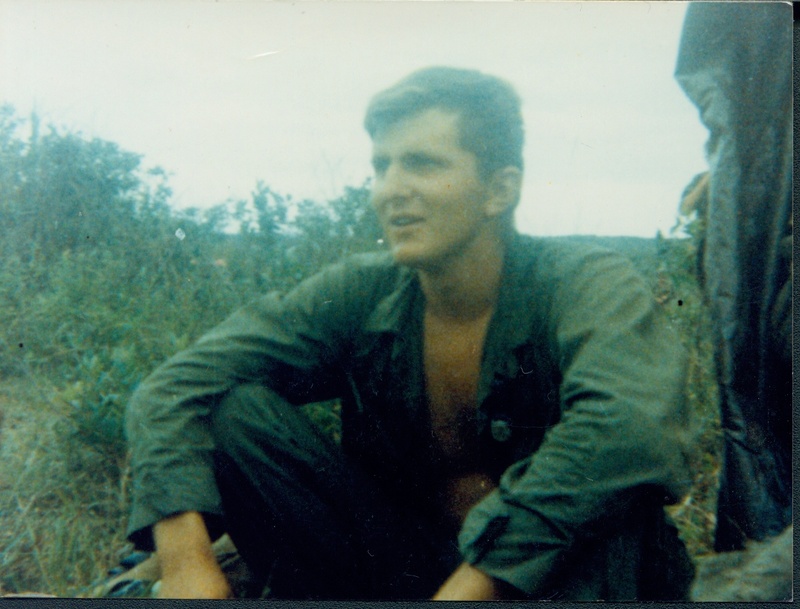 The Vietnamese people are fighting against the aggressive, unjust Johnson’s war for independence and freedom. 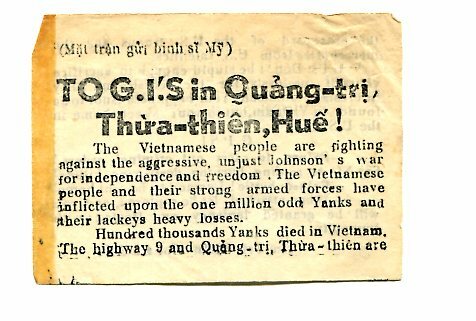 The Vietnamese people and their strong armed forces have inflicted upon the one million odd Yanks and their lackeys heavy losses. the graveyard of the U.S. troops and the mercenaries from U.S. satellites. G.I’s! Don’t be stupid enough to sacrifice yourself uselessly for the selfish and dirty interests of Johnson. 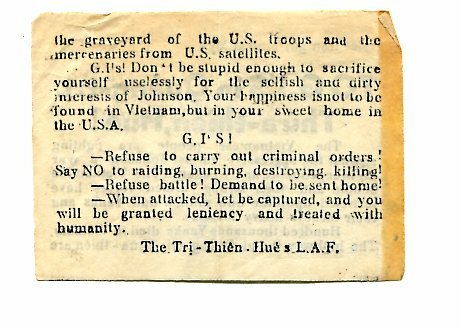 Your happiness is not to be found in Vietnam, but in your sweet home in the U.S.A.
-Refuse to carry out criminal orders! Say NO to raiding, burning, destroying, killing! -Refuse battle! Demand to be sent home! _When attacked, let be captured, and you will be granted leniency and treated with humanity. Feeling in Vietnam is that most back home, including lawmakers, do not understand or accept the truth that the conflict in Vietnam is war. That the bulk of America considers Southeast Asia with confusion and mild contempt.